nefinoo replied to the thread [Canada] [8.60] DeathZot | 99% Custom Map | 22 Vocations | Over 200 New Items | Prestige | Dungeons. And what are the updates or changes? You could tell us a little summary for those who are not aware. nefinoo posted the thread Script Aol By lever [8.6] in Requests. Can help me make a script that buys amulet of loss by lever and that charges depending on the level of the character. nefinoo replied to the thread [France][Custom Client] Raxandor START 6.02.19! | 16 Vocation | Monsters Level | Upgrade Item, Character System and more!. 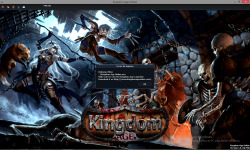 nefinoo replied to the thread [Canada] [Custom] Kingdom Age (Official release - 2019).